Thanks for the help, GhostChieftain! Dance of the Dead is on the "pricier" side, but you're right - a 2 mana enchantment that reanimates is too good to pass up, especially in this deck. I'll try and work it into the cost. I've never played with sac outlets like Viscera Seer and Carrion Feeder ... do you think they're vital to a deck like this? What is their primary use case? Hey, consider more one drops? 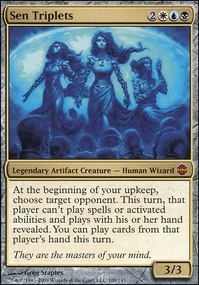 Birds, Shadow, Llanowar and Mystic are one drop mana dorks; these are good with four drop Meren because they can help to ramp into her and then be used as sac fodder. 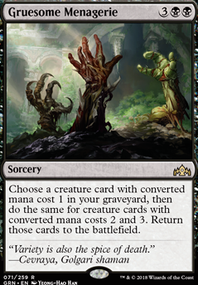 Deathrite is a fantastic Golgari card in multiplayer Commander because there's four graveyards to choose from. Seer and Feeder are one drops, no mana cost, sac outlets who can also sac themselves. Having a sac outlet that's a creature has good interaction with Meren because she can recur or reanimate it. Entomb is a fast way at instant speed to tutor for and put any one card you want into your graveyard such as Tribe-Elder or Frog. 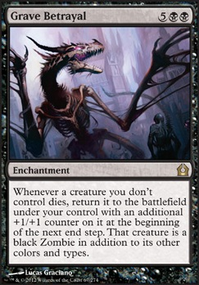 Revival is excellent in 40 life Commander because it's a free spell, just 2 life, and since it's an instant you can put any one card from graveyard on top of your library to draw for your next turn which is helpful with noncreature cards. If you like some of these suggestions I offer help to make cuts. You're already playing Mikaeus and Hulk and these two are the start of an infinite damage combo, Hulk is the enabler. If you add Walking Ballista , Viscera Seer and Phyrexian Delver this completes the combo. When you sac Hulk tutor for Delver and Seer. Delver reanimates Hulk for the cost of 7 life, sac reanimated Hulk with Seer tutoring for Mikaeus and Ballista. Ballista's CMC is 0 therefore you can get it along with Mikaeus because this equals 6 CMC of creatures. Mikaeus makes Ballista a 1/1 creature because he gives all nonHuman creatures +1/+1 and Ballista is not a Human. With Seer sac Ballista this triggers the undying of Mikaeus which then lets Ballista ETB with a +1/+1 counter. Remove the counter from Ballista targeting an opponent. Then sac Ballista again, triggering undying. As long as you remove the +1/+1 counter from Ballista before you sac it with Seer this creates the undying loop. Repeat infinite times until all your opponents are dead. 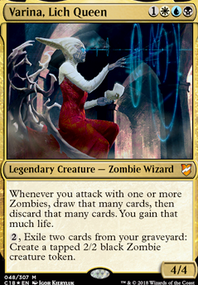 The great thing about this combo is it's made up of all creatures which Meren is able to recur or reanimate. With Meren on the battlefield before you do the combo it's then infinite experience counters because Ballista keeps dying. This is helpful if one of your opponents disrupts the combo breaking the loop. You don't need the exact Hulk line to do this combo, it's just an enabler who can tutor for all the pieces, but as long as your have Mikaeus, Seer or another sac outlet and Ballista on the battlefield at the same time the combo can happen. Riftsweeper is helpful in multiplayer Commander since exile is plentiful. Sweeper can remove a card from the exile zone and put it back into your library and Meren can recur or reanimate Sweeper. Consider Zulaport Cutthroat and Blood Artist ? 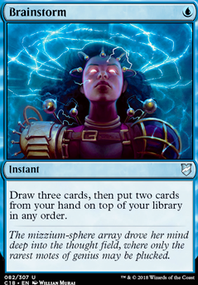 Zulaport is great in multiplayer Commander because it can hit all your opponents at the same time. This is very good with sac outlets and strategy of sacing your own creatures to get experience counters with Meren. The repeatable life gain from both of these cards is also very helpful. Artist is also very good in multiplayer Commander and is unique because he makes an opponent of your choice lose life whenever any creature dies, yours and opponents. With four players in a game he can make your opponents lose a lot of life. Consider Ashnod's Altar and Greater Good ? More powerful sac outlets that give you excellent value when you sac a creature with them. 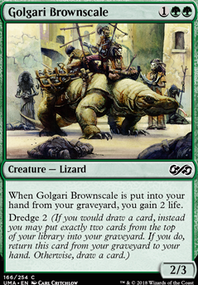 Twilight Mire , City of Brass and Mana Confluence are other Golgari dual lands that can ETB untapped; upgrades to replace lands like Golgari Guildgate, Jungle Hollow, etc. Good luck with your deck. multimedia on New World Order of Magic, Brother! These colors can take great advantage of Protean Hulk and Reveillark with Flash . Not with infinite combos which you don't want to play, but as value creature engines. Creatures such as Karmic Guide , Phyrexian Delver , Body Double , Phyrexian Metamorph , Phantasmal Image can reanimate or copy Hulk or Lark. Viscera Seer and Carrion Feeder are one drop sac outlets; one CMC is helpful when you can only search for six CMC of creatures with Hulk. Demonic Tutor , Eladamri's Call and Diabolic Intent are also excellent. I think Talismans are better than Signets since you can use a Talisman to make mana the turn you play it without needing another mana or land. Consider Talisman of Progress , Talisman of Unity and Talisman of Dominance ? If you're planning on playing ABUR Duals, Shock lands, Battle lands or combination of these then consider adding Farseek and Nature's Lore ? These two drop land ramp spells are helpful to search for and put a dual land onto the battlefield. Awesome deck. 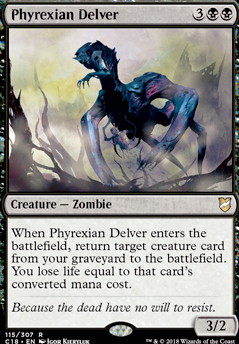 Why no Karmic Guide Phyrexian Delver ?